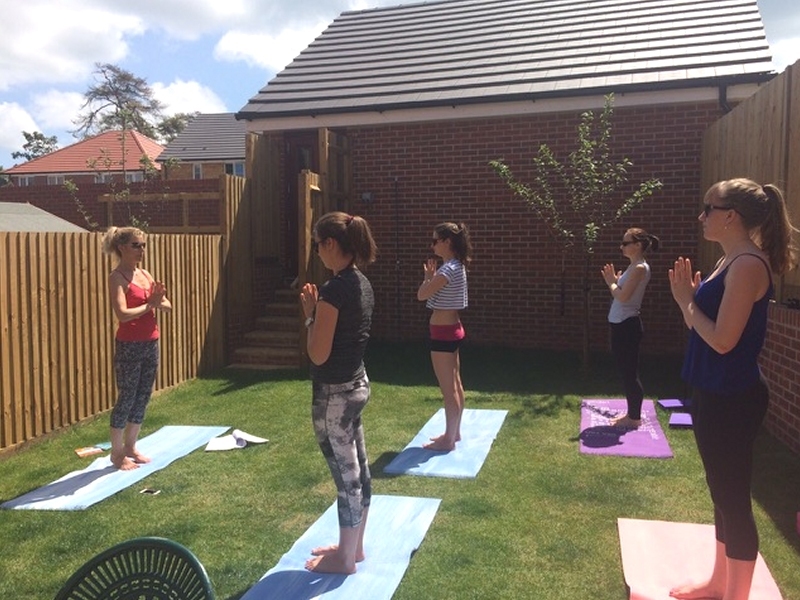 I offer pre-paid half termly yoga class deals or 'drop in' sessions subject to availability. All levels are welcome, even beginners! One-to-one sessions are also available in the comfort of your own home. 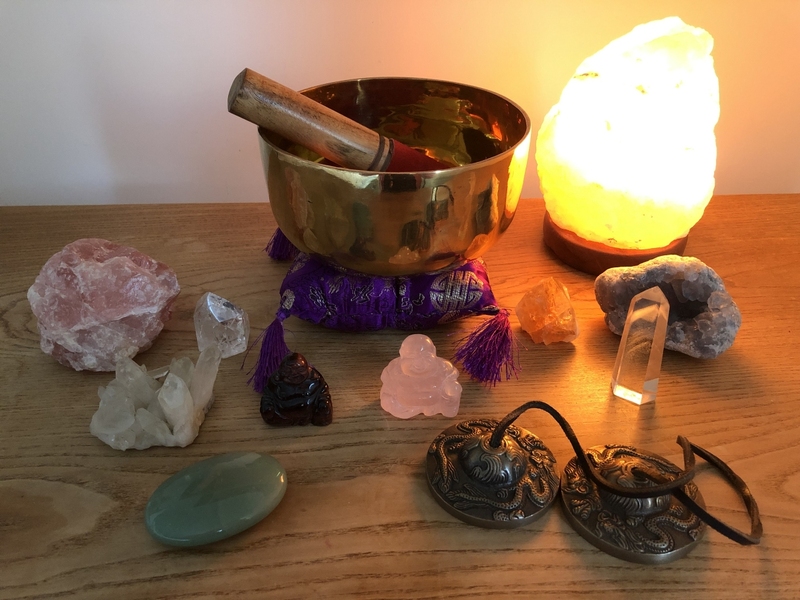 Hatha Yoga is a classical as well as an holistic approach to improve flexibility, calm the mind and release tension and anxiety, leaving you uplifted and ready to face life in today's busy world. Jennie's classes embrace asanas (postures), pranayama (breathing techniques) and meditation and relaxation which, combined, endorse a greater sense of well-being, both mental and physical, the benefits of which are now widely recognised by health care professionals and everyday folk alike. 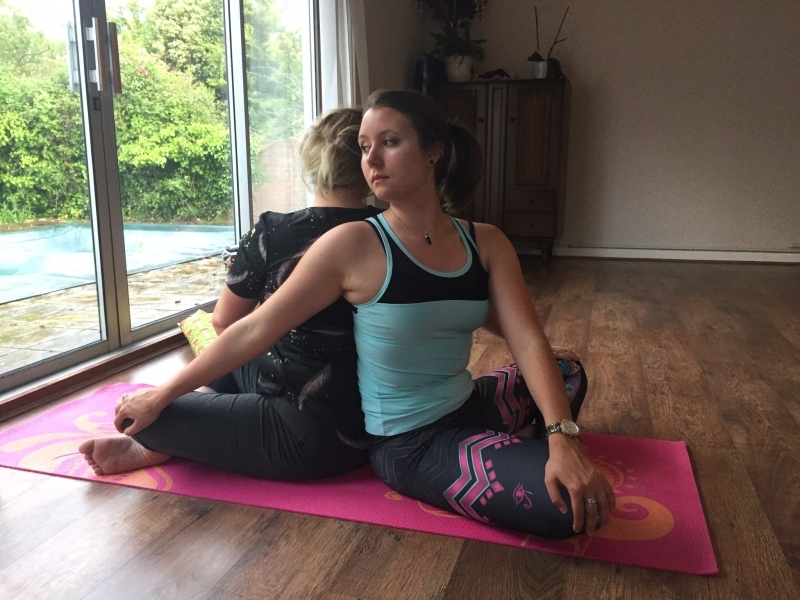 Jennie holds a 200 hour Hatha yoga teaching diploma, having trained with Fryog (accredited to Yoga Alliance UK) and has enhanced her personal yoga journey by practising Hatha, Iyengar and Ashtanga yoga in southern France alongside her teenage daughters. Who are the yoga classes for? 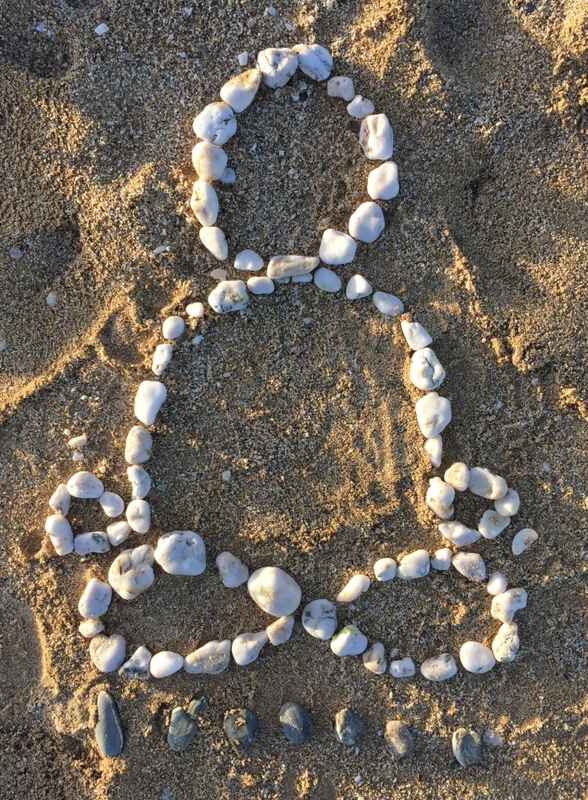 In her words: "Yoga is for everyone (health check/enrolment form to be completed prior to first class): - all cultures, all ages, all abilities; anyone can practise yoga so long as they have a breath left in them, so let me dispel this myth that yoga is about being able to tie oneself in complicated knots. Yoga is so much more than flexibility and the so-called "perfect pose". Yoga is learning to be happy in your own skin; it is the ultimate self-acceptance. Practise will result in improved posture, more efficient breathing and relief from any number of physical and emotional blockages. Vitality and youthfulness will improve, alongside general health benefits". When do the yoga classes take place? 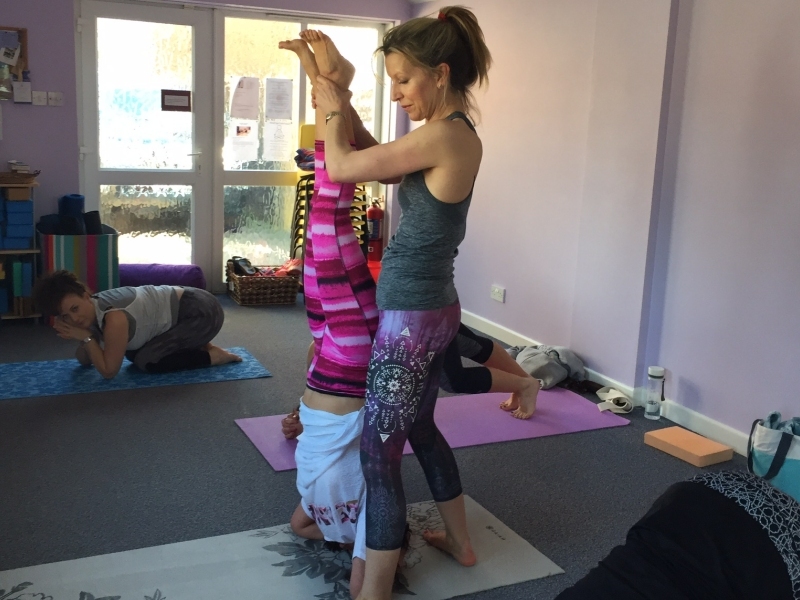 Classes currently take place on Friday mornings in Denmead and Tuesday & Wednesday evenings in Waterlooville and are generally pre-booked in half termly blocks although drop-in classes may be an option, subject to availability. 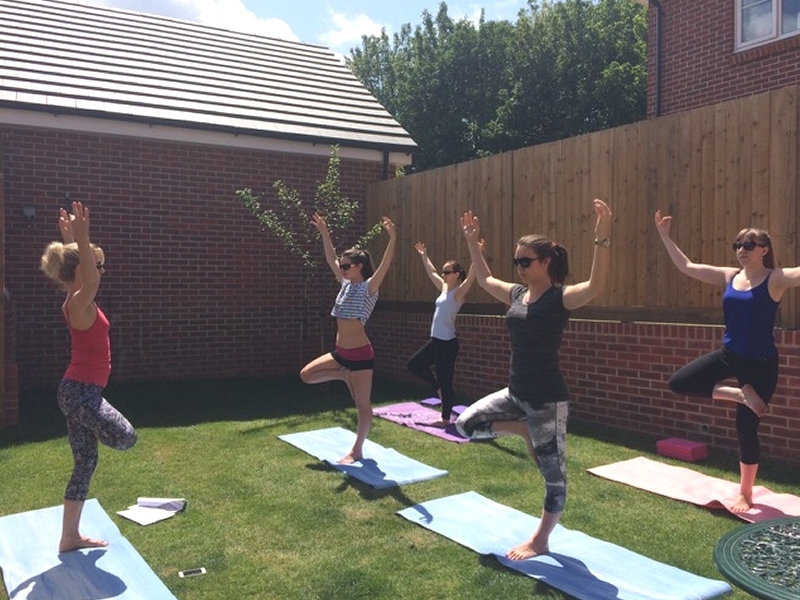 Alternatively why not book a private yoga class in the comfort of your own home? For further information please call or text Jennie on 07792 116871 or email jennie.smith@mac.com.